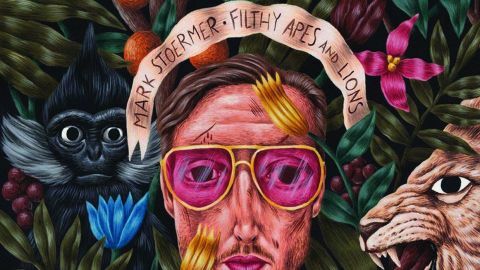 If you’re one of those people who likes to listen to new artists and sneeringly point out where they’ve ‘ripped off’ various elements of their sound from, you’ll have a high old time with Mark Stoermer’s latest offering. Bearing little relation to his alma mater’s melodramatic indie rock, it sometimes sounds like a man cherry-picking the sounds of his favourite late-60s psychedelic records and lovingly recreating them. However, with a sprinkling of his own mischievous, stoned humour, engagingly weird instrumental touches, barking lyrics and catchy tunes thrown into the mix, he pulls it off in style. You won’t need a musicologist to help trace the Helter Skelter-ish grindings that punctuate Beautiful Deformities, nor the discordant intro to The Byrds’ Eight Miles High that ghosts in elsewhere on that track. Meanwhile, you’ll be expecting to hear The Perennial Legend Of Dr Mabuse show up as a bonus track on the next reissue of The Pretty Things’ SF Sorrow, or The Zombies’ Odessey & Oracle. But he gets away with it because Stoermer’s instinct for arresting riffs and wobbly pop hooks distracts us from such reference-spotting. What’s that old saying about how talent borrows?